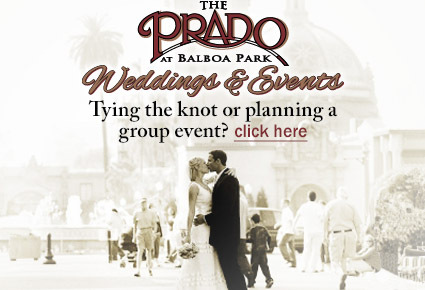 The Prado offers historic charm in the center of Balboa Park in San Diego. Be sure to visit for excellent food and atmosphere at the park. Reserve online today! in the center of San Diego's Balboa Park. The Prado is closed on Mondays. Pretty place for wdding, reasonable price. Good choice for an event.